The concept behind Annick Goutal Nuit Étoilée—”a starry night” in a reference to Van Gogh’s masterpiece–is so alluring that the idea alone should be enough to make me fall in love with the perfume. Add to this the signature Goutal bottle tinted sapphire blue, and Nuit Étoilée becomes even more irresistible. But while wearing this fragrance over the past couple of weeks, I’ve realized much to my regret that it doesn’t click for me. I enjoy some elements of Nuit Étoilée—the green musky sweetness, the delicious roasted almond of tonka beans, the sheer jasmine interlude, but admiring something on the blotter is not the same as wearing it on your skin. It evokes neither the moonlit forest nor the shimmering stars—it shuts me out of its dream world. 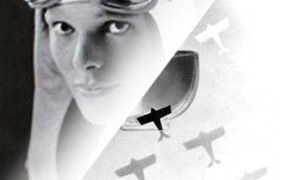 Created by Camille Goutal and Isabelle Doyen on the heels of their splendid Mon Parfum Chéri, par Camille, Nuit Étoilée is a different creature, more androgynous and introverted. 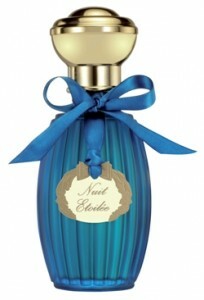 When it first opens up on my skin, Nuit Étoilée seems like a cousin of Goutal’s Eau d’Hadrien and Les Nuits d’Hadrien. The delicious burst of orange and lemon, with a crisp jasmine note feels refreshing and bright, while a tender green accent gives the fragrance a wistful quality. Then the piney notes change the setting, making the fragrance feel sparkling, but also astringent and raspy. 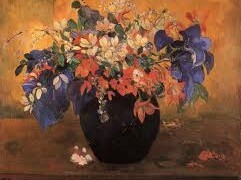 As time goes on, the warmth of the balsamic notes overtakes the composition. Balsams in perfumery can take many forms, but in Nuit Étoilée it is a sweet and dark note that smells savory and dense. A hint of maple syrup sweetness from immortelle gives the drydown a surprising edible impression. By the time the fragrance reaches its late stage, the effervescence of the top notes melts into the dark, sticky base. Like other Goutal fragrances, Nuit Étoilée is a quality, well-crafted perfume, but it doesn’t elicit the rush of pleasure the way others do for me. It feels one-dimensional and heavy with its strong focus on the balsamic notes, whereas I wished for a few more shimmering stars, or luminous, radiant accents. Instead of a magic forest, Nuit Étoilée comes across like a pastel etude of Ralph Lauren Polo, a fragrance that made a whole generation of men smell like pine trees. In the end, this Annick Goutal creation is an interesting idea, but I find it difficult to enjoy, preferring instead to satisfy my dark cravings with Sables and Encens Flamboyant. Edited June 28, 2013: I recently had a chance to sample the new Eau de Parfum, which I vastly prefer to the one-dimensional Eau de Toilette. The Eau de Parfum has a beautiful contrast between the exhilarating citrusy top notes and the lush, dark drydown liberally laced with amber. Another surprise is a velvety layer of iris, which gives Nuit Étoilée a plush, opulent sensation. Since the perfume still has a bracing, airy character, this sensual twist is an unexpected and pleasant discovery. 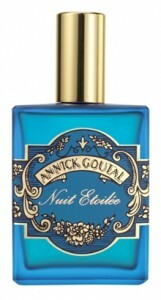 Annick Goutal Nuit Étoilée (Eau de Toilette) includes notes of Siberian pine, sweet orange, balsam fir, tonka bean, citron, angelica, everlasting flowers, and peppermint. It will be available mid-May exclusively at Saks Fifth Avenue. 3.4 oz Eau de Toilette Spray ($72), 1.7 oz Eau de Toilette Spray ($51). There will also be a 3.4 oz Eau de Toilette Spray ($72) in a square bottle. Suzanna: I figured this one might be a bit rugged, like a starry night in the forests of the Pacific Northwest. Now you’ve confirmed it, so off the list it goes, but the wish for the luminous jasmine with silvery, vaporous accents continues. Victoria: I would love “the luminous jasmine with silvery, vaporous accents”! I love Songes, but it is so sweet and warm, a different character. Victoria: Nuit Etoilee is different, of course. Polo is virile and hair-chested, and it has all of that patchouli and leather. Whereas Nuit Etoilee is woody and balsamic. It smells like when you rub your hand against the trunk of a Christmas tree and get all of that sap on your skin. So, yes, there is something charming about it. But in comparison to other fragrances from the collection it doesn’t stand out. Absolute Scentualist: Perhaps if I wait and put this one on my ‘cool weather’ test list when we’re through spring and summer, it might wear better than in the growing Michigan humidity that’s settled over us lately. The very idea of wearing something so dense, arboreal and heavy just doesn’t appeal yet and it seems like it might have made a better fall launch. I wonder if some Bvlgari Jasmin Noir sprayed on the skin first would give more of the jasmine/pine effect and soften some of the scratchy edges? My nose is still haunted by Polo from all the guys I knew that wore it when I was in high school. Les Orientalistes is still one of my favorite AG launches and I hope it is doing well enough that it isn’t in danger of discontinuation. Victoria: I think that it might definitely work better in the winter. These heavy notes require a bit of chill in the air for me, but the opening of Nuit Etoilee is effervescent and bright. Instantly uplifting. I’m trying to think of Jasmin Noir would work, but somehow I can’t imagine it. Jasmin Noir itself feels so dry and sharp to me in the drydown that I worry that it might only amplify the sharpness. I don’t have a sample on hand to try the combination, but if you experiment with it, please let me know what happens.